How many Irish childhood’s involved raking up ashes of the previous night’s turf fire? How many of us have inhaled the special earthy herbal aroma of burning sods of turf? 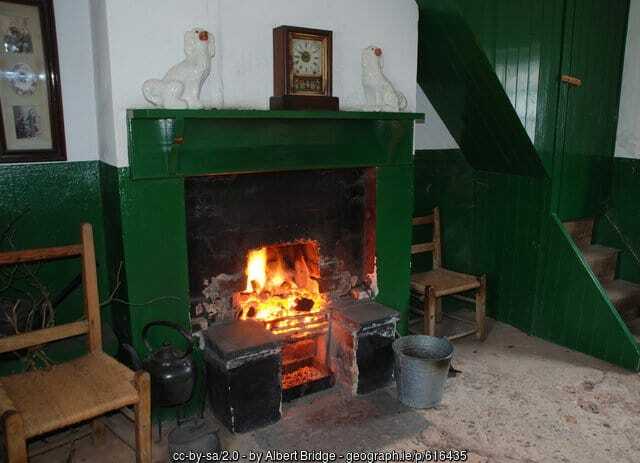 And how often did we warm ourselves by the hearth, the very heart of Irish homes in days gone by? 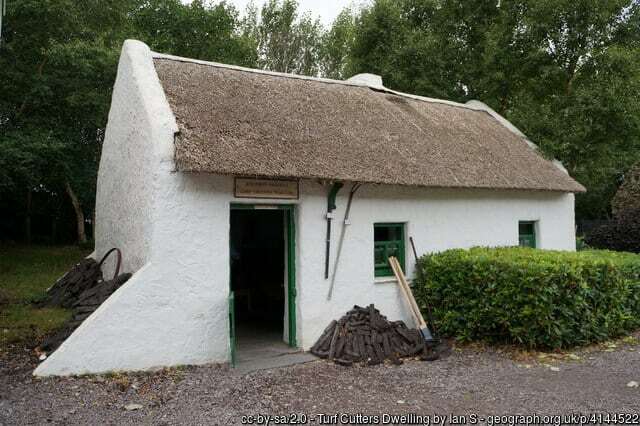 Irish thatched cottages had a fireplace in every room and when autumn or fall days began to get a little nippy, a turf fire was set in each hearth. This week’s Irish American Mom giveaway is one that should stir memories of the hearths and homes of our Irish childhoods, or rekindle fond thoughts of heartwarming travels in Ireland. 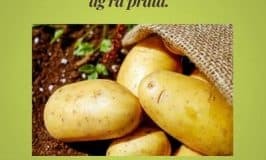 Now that summer is over, I thought it would be the perfect time to host a giveaway for some Irish turf so you can be stocked up before the days turn cold. 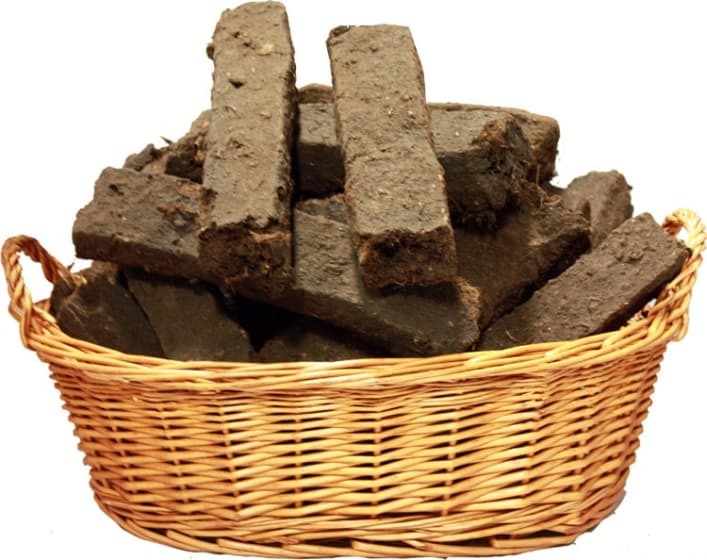 One lucky reader will win an Irish Turf Gift Basket containing about 30 pounds of naturally dried Irish turf or Irish fire logs. There are about 14 to 16 sods in this gift basket. Irish American Mom will purchase the turf from the Food Ireland website for the winner. 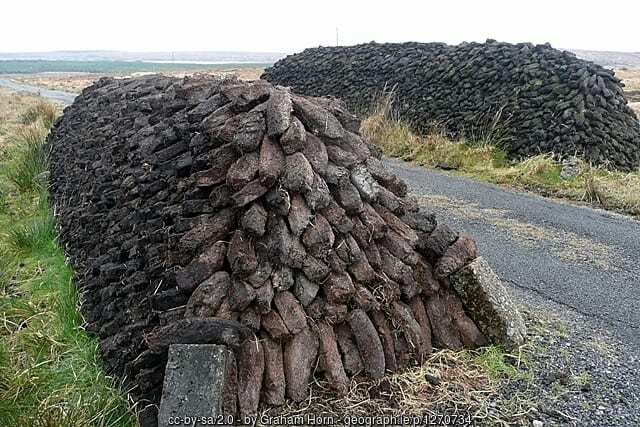 These sods of peat were harvested from County Clare, in the Cappabane Mountain Bog and were seasoned for one year after being cut. 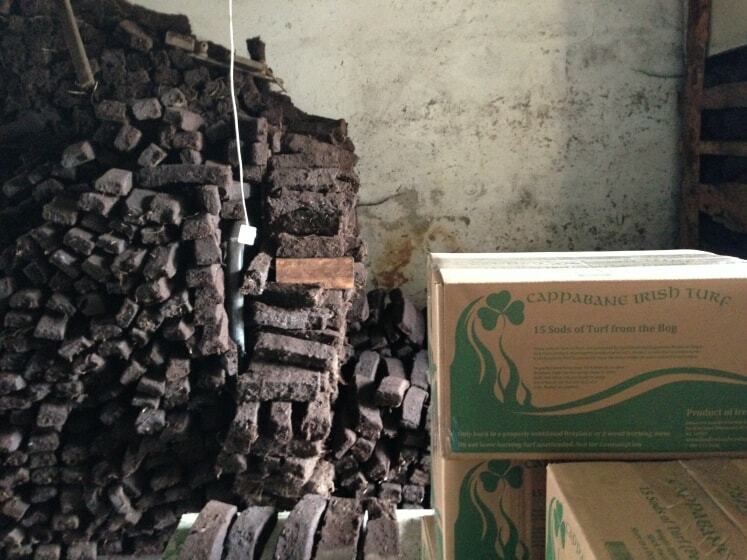 Burning this turf in an open fire will fill your room with a distinctive scent that is truly Irish. 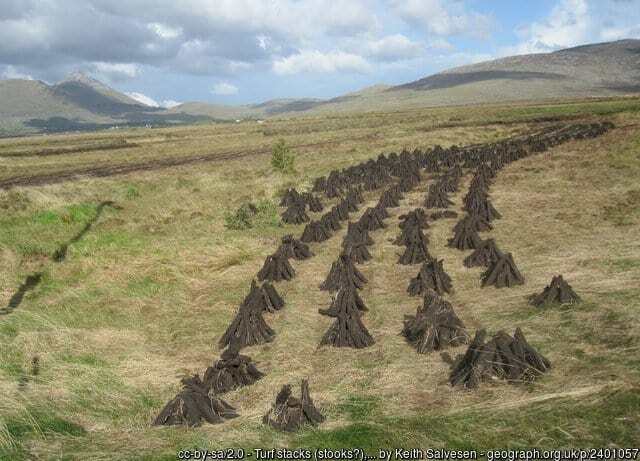 New regulations limit the amount of turf being cut in Ireland each year, and vast stretches of bogs have now been declared as Special Areas of Conservation. And so, before Irish turf is as scarce as hen’s teeth or feathers on a fish, let’s experience burning a few of these old sods and enjoying the amazing aromatics associated with a real Irish turf fire. Before I share the giveaway details, let’s first enjoy a few more photos of Irish turf and a few sayings and proverbs to go along with them. 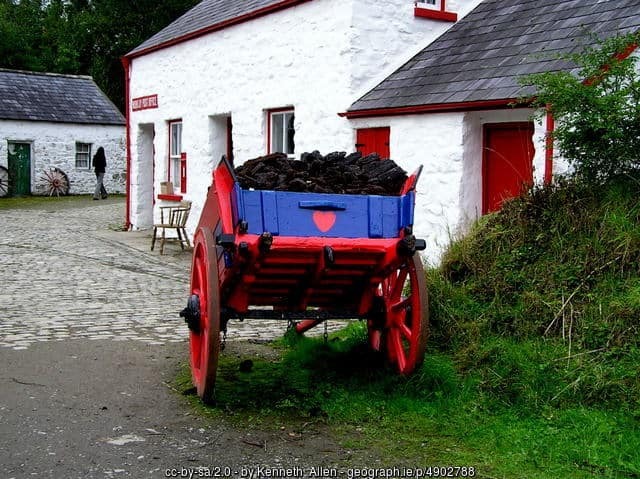 Turf was a vital commodity in Ireland in years gone by. 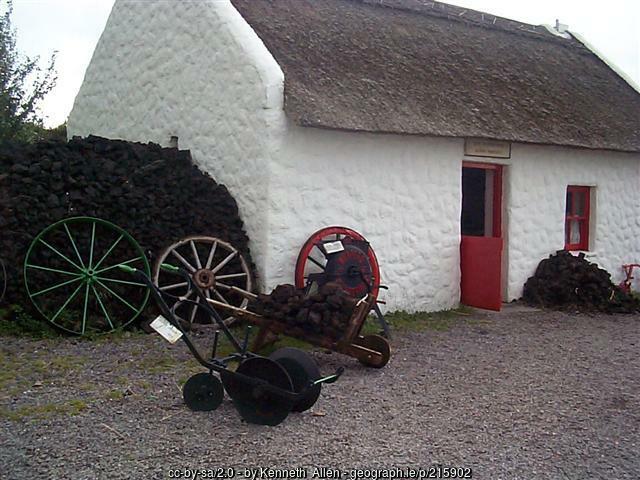 Without turf harvested by the autumn, a family in centuries past would have a long, cold winter ahead of them. Here’s a saying that highlights how much the Irish valued turf. 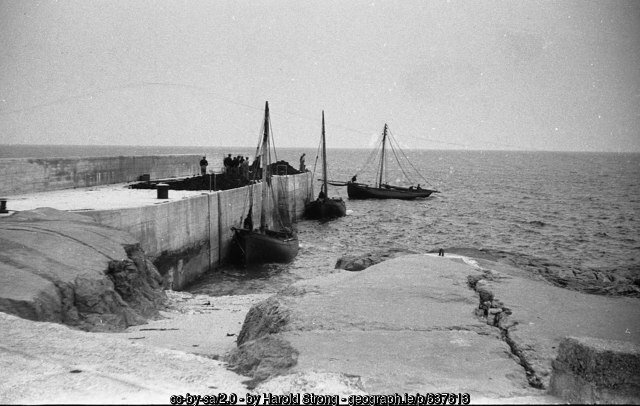 The photo above shows how turf was loaded on to boats to be brought to the Aran Islands for winter fuel. There is no fuel on these isolated islands in the Atlantic ocean, so inhabitants had to bring the turf home from the mainland. They were keenly aware of this old saying …. Here’s an expression from Ulster and Ireland’s northern counties. A waen is a child in the north, and is pronounced wane. It comes from a combination of the two words wee and one. 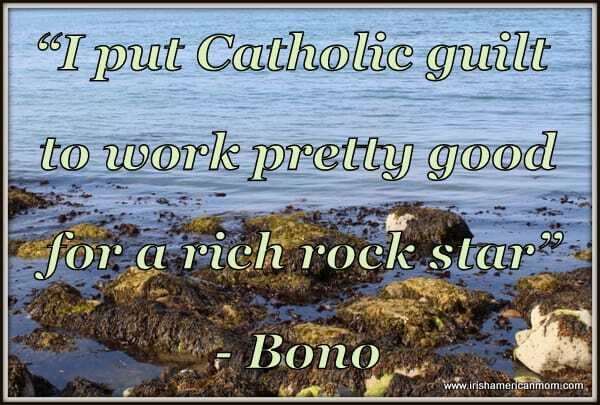 Here’s one of my favorites and it exemplifies the Irish way of looking on the bright side of life. You could be abandoned by your wife or husband, but life would be worse if you had no turf in for the winter. 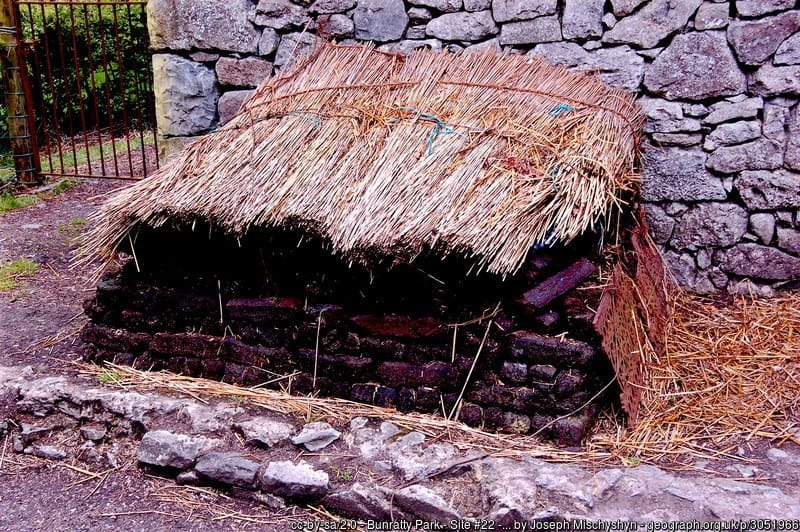 ( Pronounced kee-rawn, a ciarán is a small broken piece of turf). There’s an old Irish superstition that if a sod of turf falls out of the fire it’s a sign that someone is coming to the house. 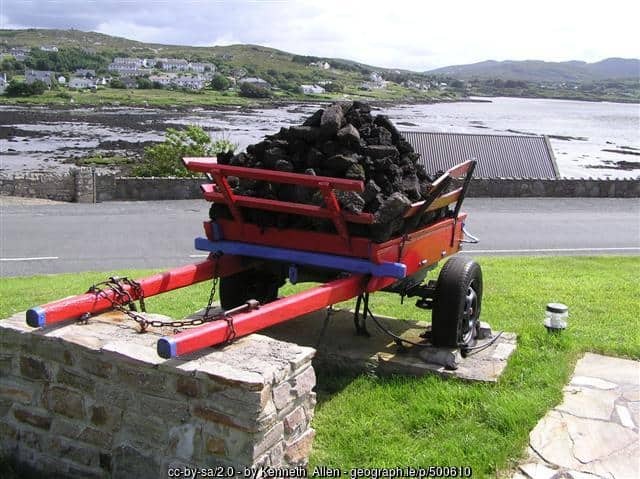 In parts of Ireland there was an old custom that when a family was forced to emigrate, usually to America, they would bring a few burning sods of turf from their fire, to the nearest neighbor’s house. Their request would be that their neighbor would keep their fire safe and alive until they returned. 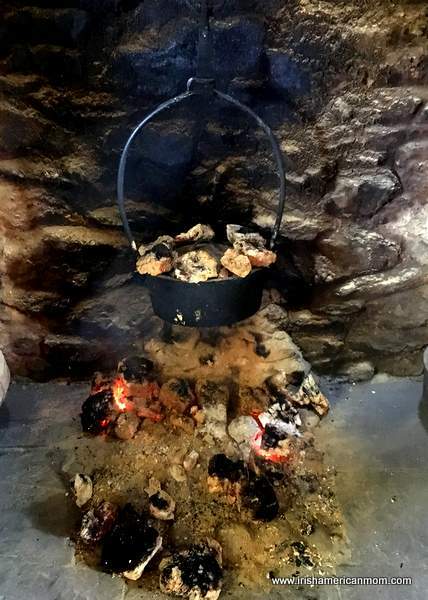 Many a fire was kept alive for decades, but alas the original fire stokers never returned. Emigration was cruel in centuries past, with little hope of ever returning home. This poignant practice brings a tear to my eye. And so with this little giveaway, we’ll send Irish turf to America and light our fires on the other side of the Atlantic, all the while remembering those who left Ireland, never to make it home. Notice: The affiliate links below mean I will earn a small commission should you buy something. This helps me keep the lights on in this little corner of the world wide web. 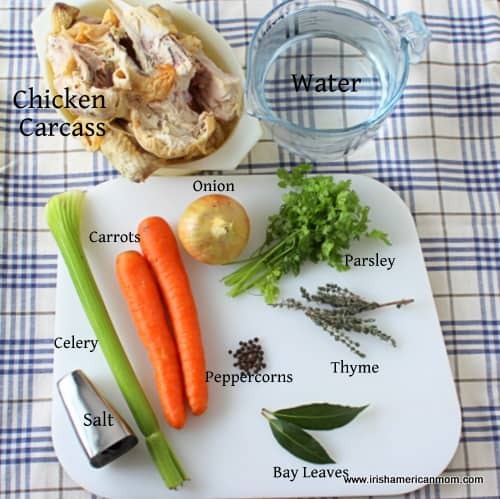 Many thanks if you choose to use one of my Food Ireland links. 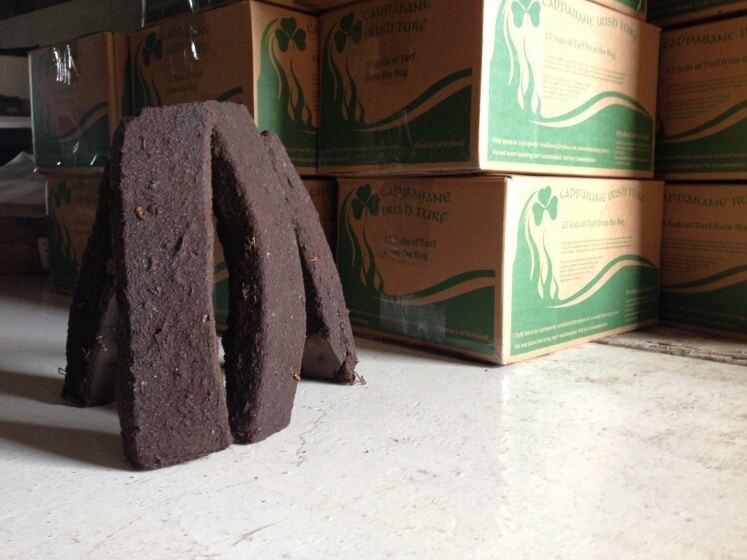 Irish turf is available from Food Ireland, a company I have no hesitation in recommending for purchases of Irish foods and gifts. They’re based in Mount Vernon, New York and ship all over the United States. They also have gift packs of just 4 sods of Irish turf, which I think is a great, inexpensive, novelty gift for anyone who loves Ireland. And then they have gift boxes of turf. I especially like this Irish turf gift basket, which is our giveaway prize this week. One lucky reader will win a gift basket of Irish turf with about 30 pounds of naturally dried turf sods, perfect for open fires. Now be very careful and no burnt fingers if you win. To enter just leave a comment on this blog post by noon on Sunday, September 23rd, 2018. Any comment will do. What you write does not affect your chance of winning, but if you need inspiration why not tell us if you have ever experienced an Irish turf fire and its amazing aroma. The winner will be announced Sunday, September 23rd, 2018, at the bottom of this blog post. Many thanks to everyone who supports this little Irish giveaway and to those who share it with loved ones and friends, who might enjoy a nice, warm, Irish fire this fall. I’m looking forward to reading all your comments and memories of Irish turf fires. Many thanks to everyone who took the time to comment and enter our little giveaway for a gift basket of real Irish turf. I so enjoyed reading all your comments and learning how many of us love the aroma of a turf fire. Our winner was chosen randomly using the WordPress Pick Giveaway Winner plug-in tool. I’ll send Ginger an email to let her know the good news and to arrange mailing of her prize. Hi Ginger – Please contact me by email at [email protected] so that I can organize mailing of your prize. I tried to contact you by email, but I did not get a response. Looking forward to hearing from you. Thanks again to everyone who supported this giveaway and for all your kind words about this little blog of ours. 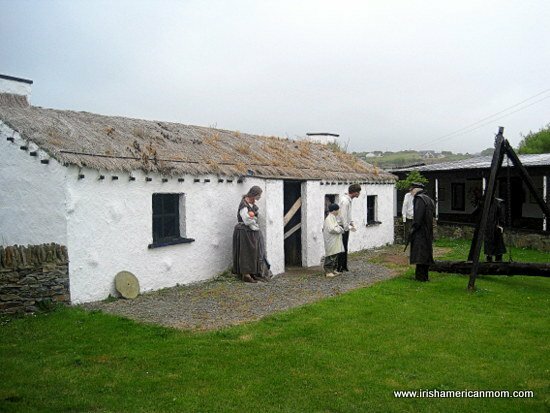 This Thanksgiving weekend I thought I would share a delightful story of discovery, connection, and blessings during a trip to the Emerald Isle. 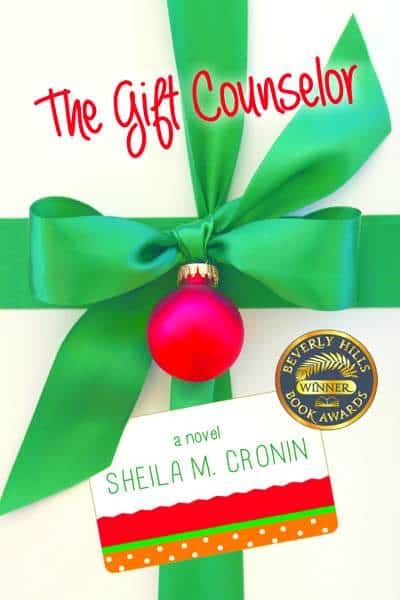 Sheila M. Cronin is an Irish American writer whose holiday book, The Gift Counselor, won the 2015 Beverly Hills Book Award. 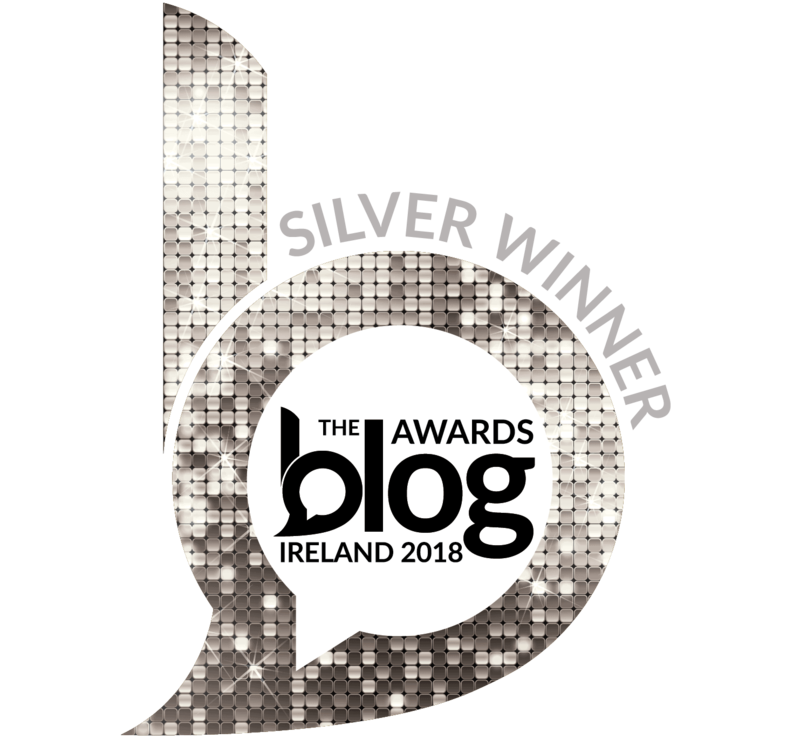 In today’s post Sheila shares a beautiful story of an unexpected trip to Ireland with her mother, and introduces us to her wonderful holiday fiction. And good news! There’s a giveaway for a copy of Sheila’s book for one lucky reader. But first here’s Sheila’s heartwarming tale of her first trip to Ireland……. My sister handed me the kitchen telephone receiver. “Mom wants to ask you something,” she said excitedly. I was my sister’s houseguest, having recently returned to Chicago after a long absence. “Sheila, dear,” she greeted me in her best I’ve-got-an-agenda tone. “My travel partner has cancelled on me. We were supposed to leave in three weeks for Ireland.” I shot my sister a puzzled look. “Um … well …” I didn’t know what to say. Mother’s gift had some strings attached. For example, instant acceptance on my part—so she could keep the reservation. That was the least of it. Just that afternoon I’d signed a lease on a new apartment that I would be moving into in three weeks. Right about the time she wanted me packed and ready to go. I’d never spent any extended period of time alone with Mother who entered my life when I was five years old, after my own Mommy had been called back to heaven. A large Irish Catholic family hadn’t allowed much time for bonding. How would we, strangers in many ways, do traveling together? But then, among my goals when I returned to Chicago (from Los Angeles) was to get to know this woman, adult to adult. Plus, with her financing the whole shebang, would any of my siblings be jealous? Ireland with all her Troubles didn’t excite me one bit. But I was about to adapt a screenplay into a Christmas novel and since Mother happened to be a professional non-fiction writer, might synergy be lurking in this endeavor? Moreover, didn’t writers need to go back to the land of their ancestors for inspiration or validation or at least for a vacation? Or was I making up that part? Her fifth trip to Ireland? Already I was learning something about who she was. I moved into my new apartment on a Saturday and we left for Ireland Monday evening. I’d never been across the Atlantic. I’d never shared a plane seat or hotel room with Mother. Nor had I ever left a new apartment in an unpacked state; however, it was time to put that mess behind me and get with the program! As it is, my Irish roots are strong. My father’s mother was a Kelley from Newry, County Down, who sailed to New York when she was all of four years old. 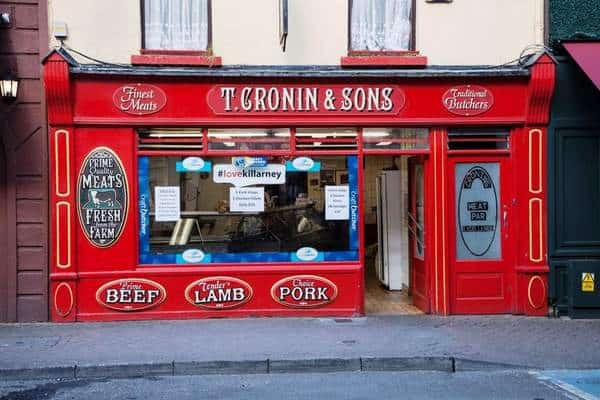 The Cronins hailed from Thurles, Tipperary County. Mommy’s grandparents (Hayes and Larkin) were both Galway natives who met in America. While both sides of Mother’s family harkened from County Roscommon and Tipperary. Which is why I like to kid that I’m 300% Irish-American. I’d approached our trip with trepidation but the moment we landed in Ireland, my misgivings—good word in any discussion about gifts—vanished. Ireland was instantly familiar to me. Partly due to movie classics, partly due to books, partly due to songs and theatre. But deeper. 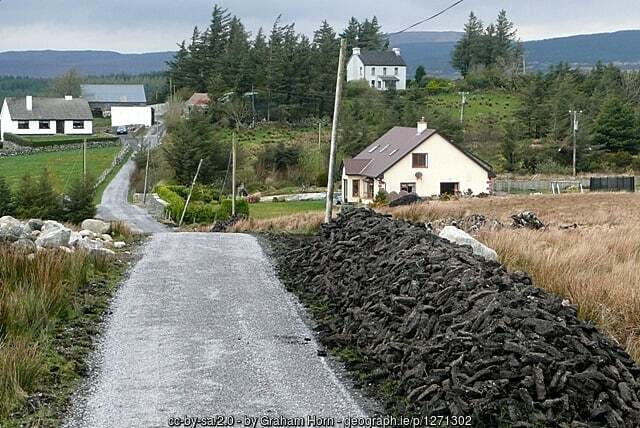 Ireland was familiar to me because Ireland felt like home. The Emerald Isle quickly seduced me. The sheer beauty of it, its moody weather, the lively music. The welcome in people’s eyes. Their facial features, coloring and personalities. The eagerness to talk, to get to know us, to laugh—aye, to roar out loud. And sing, dance, tell tall tales. Share a pint. Irish art was a revelation to me. 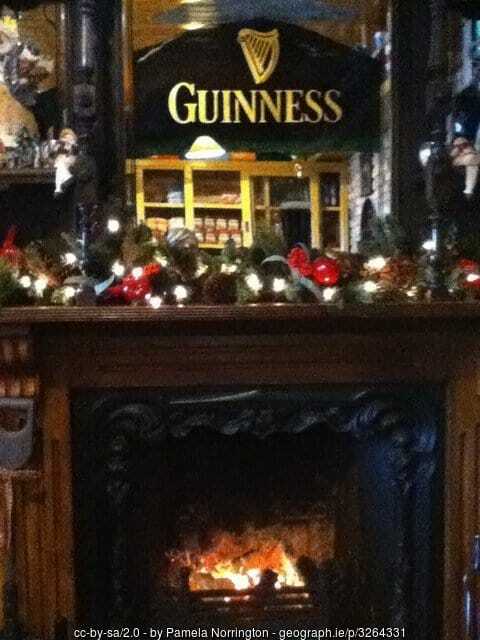 So was Irish food, both excellent. 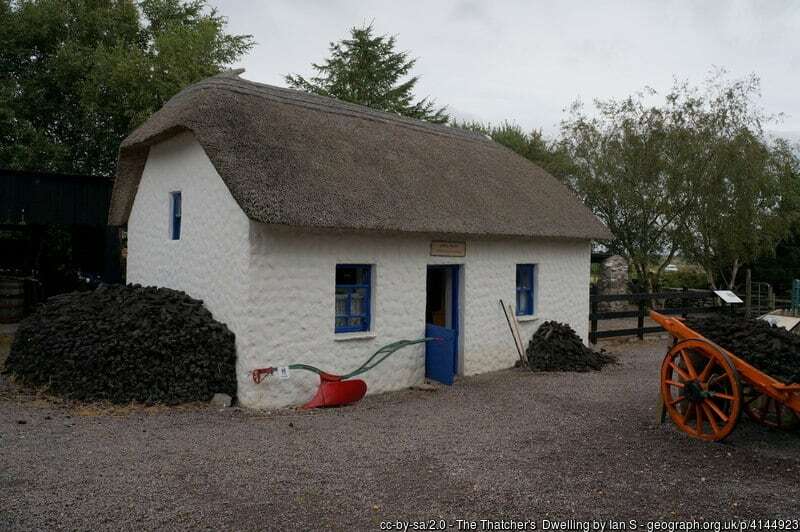 I doggedly kept us on schedule through the two week bus tour, then Mother rented a car to show me her Ireland. We covered a lot of ground, stayed in fine hotels and enjoyed shopping. She introduced me to tea every afternoon and I introduced her to after dinner Irish coffee. 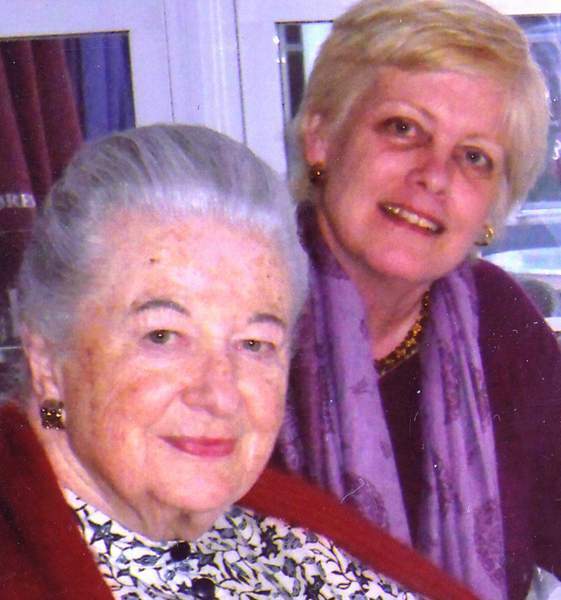 She was a newspaper columnist who had no difficulty approaching strangers or getting them to tell her their stories. She flattered, charmed and displayed endless energy, staying up late to read, but behind the bathroom door so the light wouldn’t wake me. Always cheerful, she was game for wherever our adventure took us next. Life brings many sorts of blessings. Infrequent but powerful is the unexpected gift, the thing we didn’t even know we wanted until we receive it. Good gifts do not take away all that’s wrong or unfair or sad about life. Rather, they sustain us. They encourage us. They help us thrive. They give us hope. Sometimes they heal. So it happened. Maybe during high tea at Adare Castle, maybe in Donegal or Sligo. Perhaps during our minor spat in Killarney, or on the pier in Cork. Or during our stay in Ballynahinch where she told me about putting on a show with college friends in the hotel’s lobby. One day, I started calling her Mom. 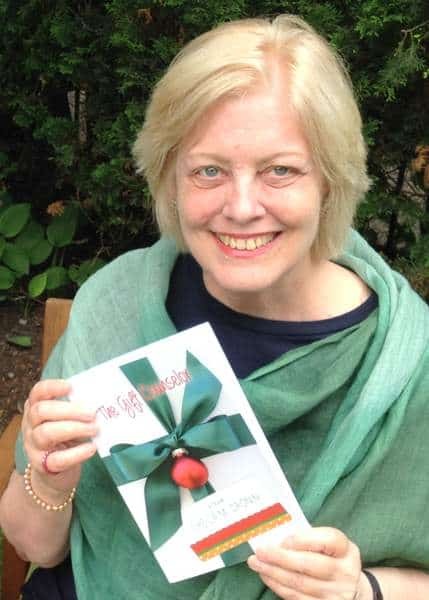 The novel I eventually published is called The Gift Counselor. Winner of the 2015 Beverly Hills Book Award, this Christmas story centers on a Catholic single mom with a knack for helping people choose gifts, her ten year old son who wants a dog she won’t let him have and the man who enters and changes their lives one December. The book is available in paperback or kindle format on Amazon, Barnes and Noble and most online book stores. Suitable for young adults; it’s book club recommended. So tear up your gift list this year. The Gift Counselor is the ideal gift for everyone on it. One lucky reader will win a copy of The Gift Counselor. Here’s a little excerpt from the Beacher Weekly Newspaper’s review …. make you smile, and maybe think twice about the gifts you buy and why you bought them. To enter just leave a comment on this blog post by noon on Monday, December 7th 2015. Any comment will do. What you write does not affect your chance of winning, but if you need inspiration for your entry why not tell us what your favorite Irish gift would be this Christmas. Winners will be announced on Monday December 7th, 2015, at the bottom of this blog post. A big thank you to Sheila for her lovely story of visiting Ireland with her mother, and for sponsoring this giveaway. And thanks to everyone who supports this little giveaway. Happy Thanksgiving weekend, and happy Black Friday shopping. Good news. Our winner has been chosen using the random “Pick Giveaway Winner” WordPress plug-in. And a big thank you to Sheila M. Cronin for providing a copy of her wonderful book as a prize. A quick note: Here’s the link for purchasing The Gift Counselor on Amazon. This link is an affiliate link, which means I will earn a small commission if you choose to make a purchase using this link. The price you pay will not be affected. 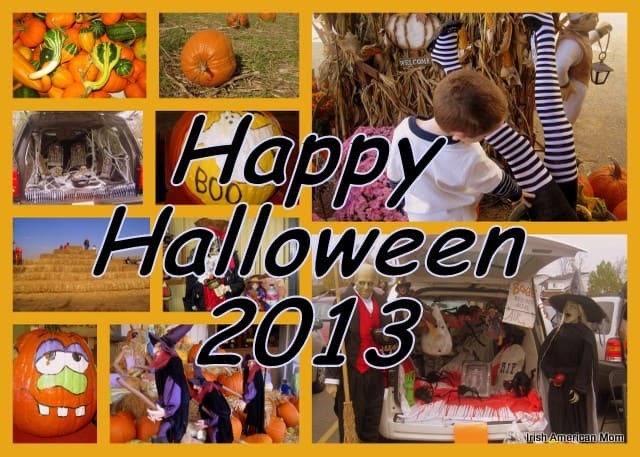 Thanks so much for supporting my blog ….